The parents leave their 1-year-old with the babysitter. When they see him the next day, their hearts stop. 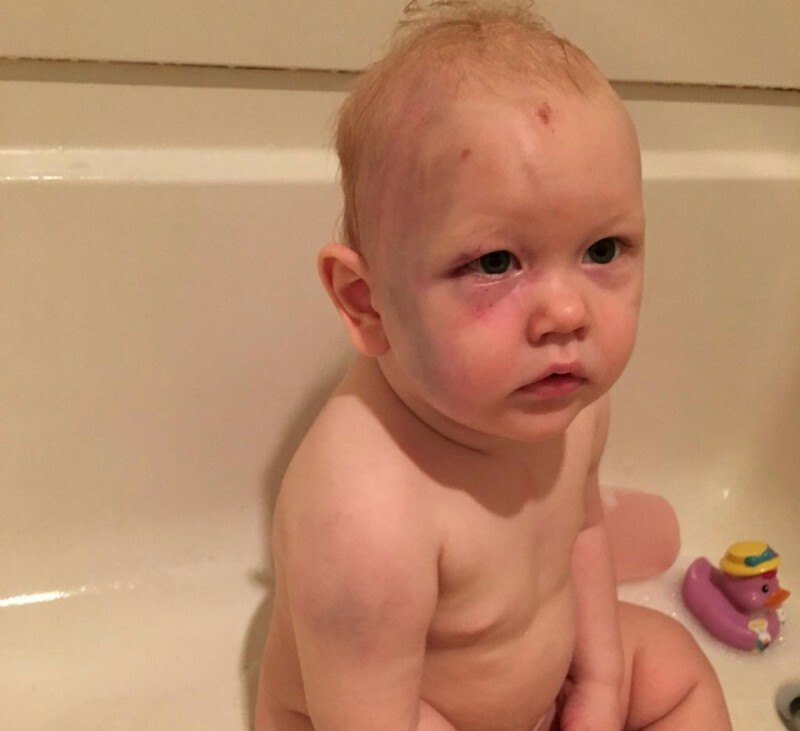 Home » Health » story » The parents leave their 1-year-old with the babysitter. When they see him the next day, their hearts stop. 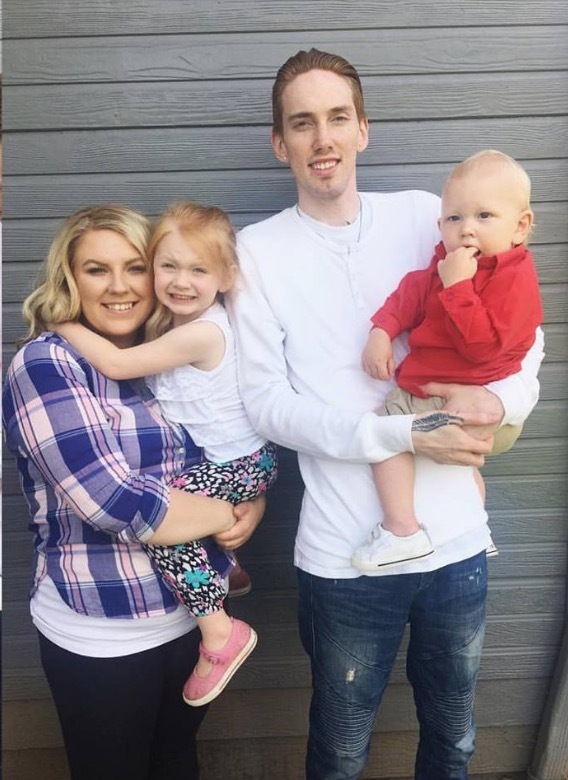 Joshua Marbury and Alicia Quinney are two parents from Sherwood, Oregon. Recently, they wanted to have a date night, so they left their 1-year-old son Jacob at home with a babysitter who also happened to be a friend. When they got home, they found the babysitter asleep on the couch while the toddler was crying. But it wasn't until the next day that they noticed the full extent of what had happened to him. No child should go through what this baby has been through. 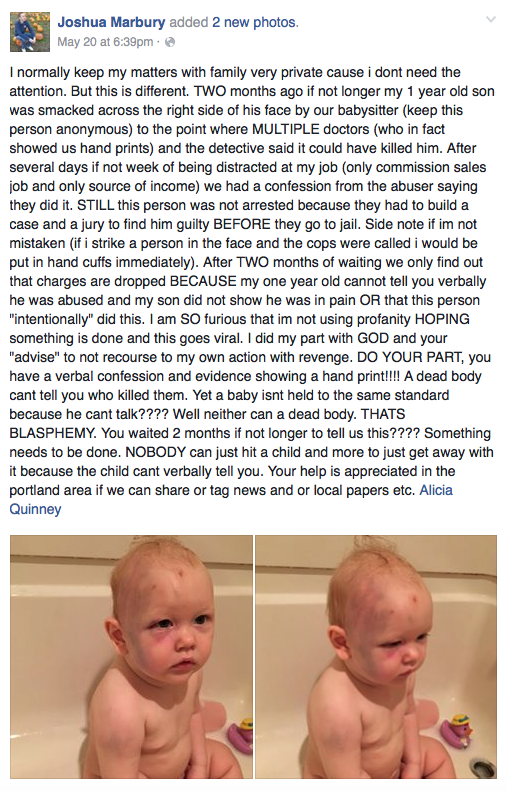 Share to help spread the word and get justice for Jacob!